Danny Burnham discusses life as it pertains to Christians. News, sports, theology, or anything else you're interested in. We'll talk about it. In this episode, Danny talks about Easter and the importance of celebrating the resurrection every day! In this episode Danny talks with guest Scooter Allison about what goes on in the mind of a youth pastor. How to be a witness for God even when its hard. And how to juggle ministry, hobbies, and family. Episode 38: Why is The Preacher Yelling? In this episode, Danny talks about different preaching styles and why some may be more effective than others. Episode 37: St. Patrick's Day! In this episode, Danny talks about the man that we know as St. Patrick. We celebrate him, but do you really know why? He also talks about things like why some folks wear orange, and the difference in Paddy and Patty. Hope you enjoy! In this episode, Danny talks about the "Boiler Room" in the London Metropolitan Tabernacle whose pastor was the legendary Charles Spurgeon. It wasn't about the temperature of the building, it was the room in the building dedicated solely to prayer for the church. Drew is back in this episode as he and Danny discuss the parallels between recruiting as a college football coach, and recruiting for the body of Christ. In this episode, Danny talks about how we misuse and excuse our words. In this episode, Danny talks about how the internet and social media can be used to draw people to your church, and ultimately to God, regardless of the size of your church or it's bank account. In the third installment of the Sunday Sermon Series, Danny talks about Loving your neighbor. He references Matthew 22 and Luke 10 among others. In this episode, Danny talks about how to navigate The Bible. How to find it's true meaning, and how to even spark an interest in reading The Bible to begin with. Episode 31: Martin Luther King Jr. In this episode, Danny talks about the man, the pastor, and the civil rights activist/icon, Martin Luther King Jr. In this episode, Danny talks about the 1964 hit song "The Sound of Silence" by Simon and Garfunkle, and how it pertains to us as believers in Jesus Christ and our mission to share the gospel. 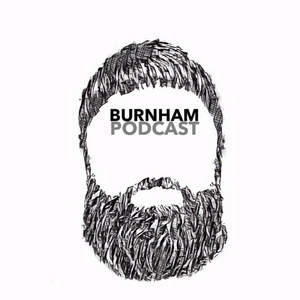 In this short and sweet episode, Danny talks about what Burnham Podcast will look like in 2019. New Topics. New Guests. New adventures. In this episode, Danny talks about social media and how we use it vs. how it should be used. In this episode of the Sunday Sermon Series, Danny talks about Joseph, the role he played, and how we can relate to him. Merry Christmas! Episode 27: Migdal Eder; The Birthplace of Jesus, and Xmas; What it is, and what it ain't. In this episode, Danny talks about Migdal Eder, the place where Jesus was possibly, probably, almost assuredly born. He also talks about Xmas, and why it's not as bad as some people may think. Merry Christmas! Sunday Sermon Series #1: Quick to listen, slow to speak, slow to wrath. 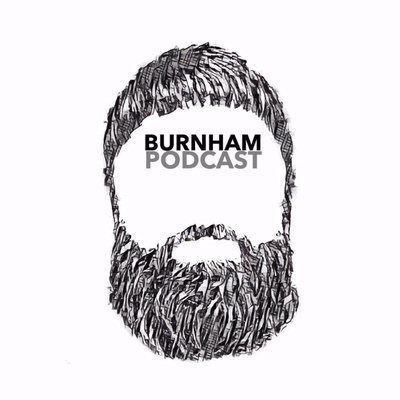 In the first installment of Burnham Podcast: Sunday Sermon Series, Danny talks about James 1:19-21, and being quick to listen, slow to speak, and slow to anger. This is our Thanksgiving episode! Danny's wife Jessica re-joins the show to talk about what we, (and you) are thankful for! In this episode, Danny's brother Drew re-joins the show and they talk about... Drew. The results of his football season, and what he's getting into now that it's over. In this episode, Danny talks about the possibility of violence in our places of worship and some steps to take toward securing them. In this episode, Danny talks about politics. Not who to vote for, or anything like that. Just how to treat those who disagree with you. In this episode, Danny talks about how the law of the land protects our right to pray in school, or just about anywhere else we go. In this episode, Danny talks about his experience at a little church in his neighborhood, and why you shouldn't ignore the one in yours! In this episode, Danny talks about 9/11, and how to get back to the mindset we all had on 9/12. Episode 19: Don't give up on Pro athletes. God hasn't. In this episode Danny talks about God showing up at the Pro Football Hall of Fame induction Ceremony, and why LeBron James isn't such a bad guy. In this episode, Danny talks about just how blessed we are, and the limitless possibilities of living in, specifically sharing the Gospel in an inspired time. In this episode, Danny and Drew talk about some of their favorite podcasts on your favorite podcast. In this episode, Danny talks about how sports reveals character, and how James 1:19 applies when the game isn't going as well as you think it should. In this episode Danny talks about Independence Day, what it means to Americans, and what it means to us as believers in Jesus Christ. In this episode, Danny and Drew talk about what life is like with siblings, and who our "siblings" are in the eyes of God. Episode 13: You're never gonna believe this! In this episode, Danny and Drew talk about the phenomenon of media-induced hysteria. 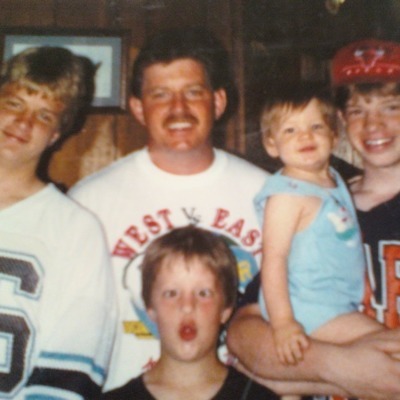 Danny Burnham and his father, Cliff talk about what father's day means to them, and their thoughts on being a father. In this episode, Danny and Drew talk about their tour of Fort Jackson, South Carolina, the Army's primary Basic Training Center. 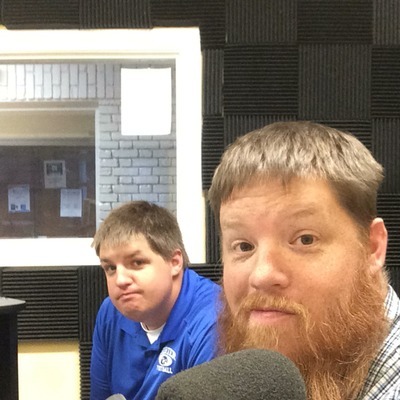 Episode 11, Danny and Drew talk about D-Day, Fire Christian Media, and Colorblindness. In this episode, Danny talks to Johnny Harris about how he became the worship leader at Cassville Baptist Church, and what it's like to do the job. Episode 9: Graduation- What now? In this episode, Danny and Drew talk a little bit about Memorial Day, and a lot about what to do after graduation. With Mother's Day upon us, Jessica joins Danny again to talk about all things motherhood. In this episode we talk about what a Christian Marriage is supposed to look like. (There's still plenty in here for the single crowd!) Sometimes that means toughing out the hard stuff together, whether you like it or not! In this episode, we explain why it's OK to be a Christian, and shout "Roll Tide!" Just don't over do it! Episode 3: It's none of your business! Colossians 3:23. Be the best you can be, because the Bible says so. Episode 2: "Greater Love Hath No Man"